Swim (54:29 / 25th): Per usual I got to the start line as the last pro. Immediately I got to work surveying the line of men stretching 75 yards. A last minute switch to the wall left me with what I thought was the faster, and more importantly, a larger group of swimmers that I thought I could hold onto. I awaited the gun as the pro creep started. Mike Reilly was yelling at us, "back up", but it was futile. The gun went off and I swam hard. I had planned to go completely anaerobic for the first 400 meters and the execution was no different. At 200 meters I was with a large group but the pace for me was on. At 400 meters I was still in the group but suffering. I recited in my head, "just a few more meters and I know this pace is going to slow. Hang on, hang on". The pace finally settled, but the damage was already done. In the 64 degree water I managed, to again, completely overheat and nuke myself just 800 meters into a 4000 meter swim. I had no choice, but to let the group go. I was done, cooked, and my arms felt like jello. I kept on swimming with what felt like terrible form. Finally, after what seemed like forever, I hit the turnaround buoy and headed back for home. I honestly wasn't sure where I was in the swim, and with extreme muscle fatigue, I wouldn't have been surprised to finish and see a time of 1:00. However, I stayed rational and thought about previous IMAZ swims and the swims of my competitors. I sorted everything out and I knew I was ok, in no-man's land, but ok.
With 800 meters to go I got passed by another swimmer. Lucky for me I had recovered a bit so I was able to hold the feet for the final section. I hopped out of the water and I was relieved to see that the clock read 54 and the guy in front of me was Justin Daerr. Bike (4:28:54 / 12th): Seeing as I missed Plan A - getting out with the chase pack - I resorted to Plan B, ride hard early and see if I could bridge the gap. I worked hard for the first 30 mins and reeled in the stragglers from the chase pack. Unfortunately it was harder than I wanted to ride that first 30 mins, and instead of burning a match to make a decisive pass on them, I decided to sit in and recover a bit. I knew that Daerr was a solid rider and I was hoping he would come along shortly and we could work a bit. However, Daerr never came and instead I was surprised to see a charging Jozef Major. Jozef made the pass and he tried to make it a decisive one. He cracked the other guys very quickly and I was left to close the first of many gaps that would open during the race. As I headed out to the tail-end of the course, I got my first time check to the leaders. It was Starky with a small 30 second lead over TJ Tollakson, Ian Mikelson, and the foreign contingent. Then there was a large gap to the next chase pack which was being driven by Olympian Tyler Butterfield. Clearly I had a lot of ground to make up. Jozef and I continued along and picked up a struggling Torsten Abel. It was at this time that I think Jozef tried to break us both. Abel held on for a brief period, but then popped off and left me to close another gap. In doing so I watched my power climb to unsustainable levels. For 14 minutes it took 310 watts to stay a legal distance behind Major. It really had me thinking that something is wrong here - how the heck could someone have me pushing soo many watts for so long... is my tire flat? are my brakes rubbing? what is going on here? who is this guy? how fat am I? I knew the pace was not sustainable, but I committed and I told myself that at the turnaround the pace had to get easier. As soon as I hit the turnaround I was greeted by a substantial tailwind, and going downhill made it even easier. 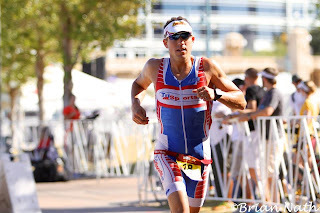 With a click of the shoes I found myself back in Tempe ready to start lap 2. Bike Lap 2: Lap 2, glorious lap 2, where you merge with everyone just starting lap 1. It becomes a giant cluster: cars everywhere, fans everywhere, volunteers everywhere, motos, dogs, cats, police, and then 2500 other athletes and their bottles launching off their bikes. If you have ever played Frogger or Paperboy then you get the idea. I headed out thru the minefield and I quickly knew my voice wasn't going to last. "On your left, on your left, please on your left". Thankfully I continued to let Major do the majority of the work, minimizing the time I spent out front. Along the way we picked up some more riders from the foreign contingent. In true form, they decided they wanted to be aggressive on the drafting boundaries. Unfortunately for them, the sun was shinning perfectly, casting our shadows in such away that it gave the officials all the evidence they needed to issue a RED Card to them. Per usual, the foreign contingent threw up their hands in disgust protesting the call. Meanwhile, I was stuck at the back and couldn't pass because there was traffic on both sides. I waited patiently until the RED carders calmed down and then I burnt another match to close the gap. I went up the climb a second time and then back down to Tempe to start lap 3. Bike Lap 3: Lap 3 started just like lap 2 - surprise surprise - except by this time the male bits were beginning to get a bit sore and all I wanted to do was be off the bike. Thankfully, the power was still high and I was beginning to sense weakness in Major. On the 3rd trip up the climb I decided to make what I hoped would be the final pass of Major. The winds had changed and I knew there would no longer be a tail-wind heading back into Tempe. This would making staying in contact more difficult, and the extra effort would all be worth it. Unfortunately things don't always pan out the way you expect. 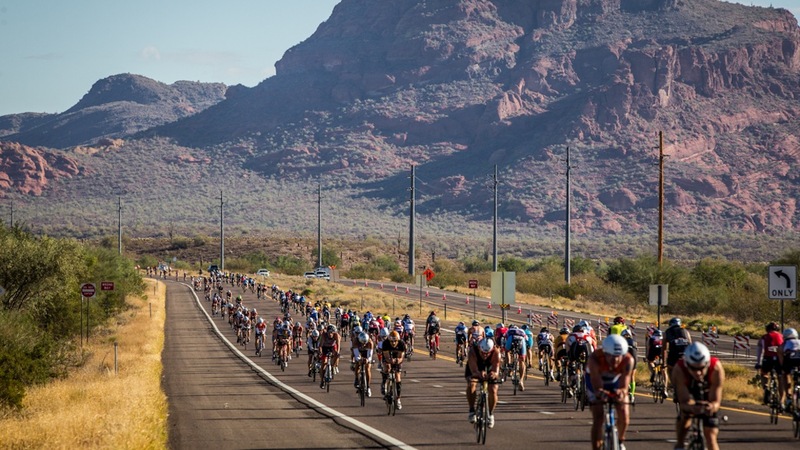 With the cluster of all the age-groupers, numerous crashes, and even some crashed mottos, I think the officials must have been instructed off the course. As I caught some more cracked riders we started to form a group and the 10 meter gap we are supposed to ride was cut to 7 meters or maybe even 5. I had thought about trying to push to get away, but if people were not even going to play it legal, then there was little hope of getting away. In my last three Ironmans - Ironman Louisville, Ironman Wiconsin, and Ironman Florida - I have always raised the pace in the last 20 miles. I pushed when others had nothing left to push, but it seemed futile here, and instead of getting the group to T2 2-3 mins faster, I opted just to ride at the back of the group. Run (3:08:49 / 10th): I had come off the bike in my last three Ironmans in 2nd place and faded to 3rd, 6th, and 11th respectively. 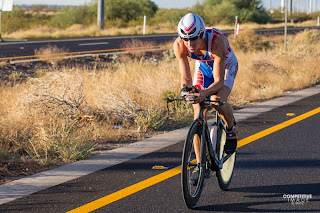 Coming off the bike in IMAZ I wanted to run a smart race and be conservative. After seeing Torsten Abel, Mathias Hecht, and Fraser Cartmell blow up on the bike, I was hoping to see a few more causalities on the run and possibly run myself back into the race for once. The legs didn't feel great starting the run, but they never do. Early on I got passed by a few people and lost some more time at mile 1.5 to hop in the porta-john. On a sidenote, I really need to work on learning to pee on the bike. 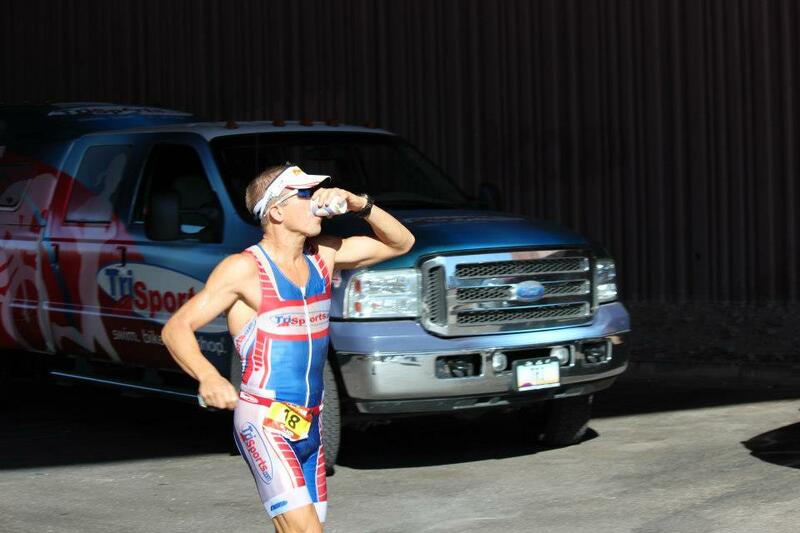 In 15 Ironmans I have peed once on the bike. Anyway, I continued on running at a conservative 6:45 pace and I was happy with that as I focused on getting ahead of my nutrition. Before you knew it I was done with lap 1 of this 3-loop run course. On lap 2 I started to experience that natural creep that comes with Ironman. I still felt ok but I was not moving fast. Per usual, I used a lot of Coke, Powerbar Perform, and a gel every 2-3 miles. It was hot, but not so much so that I felt like dumping ice down the suit. Midway thru lap 2 I stopped in the porta-john for a 2nd stop. It was then that Matt Russell opened up the door on me and I knew I had to get in gear to hold off the stampede of runners that was bound to be coming. He exited his porta-john first, but for some reason I knew I had to stick with him. I sprinted a good 50 meters to catch back up and stayed on his shoulder. I knew the pace wasn't sustainable, but I didn't care. I would run with him for what I could. The 6:35s we were running felt like 5k pace compared to what I was running. I managed to stay with him for a few miles before falling off the pace and heading into my 3rd porta-john of the day. When I got out I knew I had made up significant time with Russell and still thought top 8 was possible. I didn't have the ability to push, but I thought there was a chance that a few more people would falter. In that last 10K, I caught and passed a couple of guys but it wasn't enough and finished the day 10th. Overall (8:36:05 / 10th) Overall I am stoked with my performance. For the first time since Ironman St George - onset of Achilles injury - my placing after the run had been higher than after the bike. In addition, I am getting closer to hanging on to the chase pack in the swim and that could be a great thing. To ask my body to respond to its full potential after Ironman Florida is a lot to ask and I was thankful to put in another solid performance. 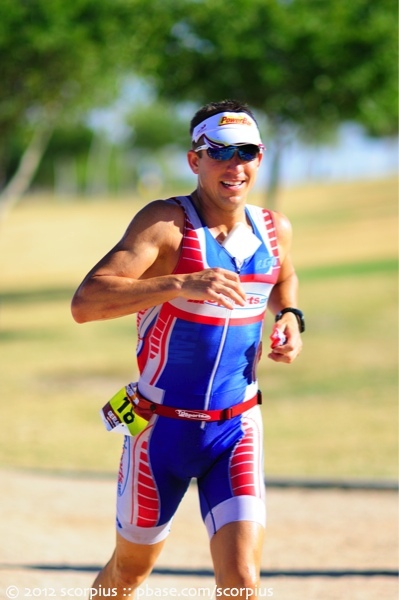 Racing like I do is not easy, but it is giving me the confidence that I can be competitive at the highest level of endurance sports on a body that isn't rested. I may have not hit a lot of home runs, but I have confidence that all the singles and doubles will add up and help me hit a dinger sometime in the future. Drip Drop - for making sure I stay properly hydrated on race day. Paul Phillips / Competitive Image - for always taking great photographs. I made it to the end of the report without sleeping ;-). Nice race report Gerlach and more importantly nice race/season. Hope you get to enjoy some well deserved REST. Great race report. And a fantastic first full year as a pro. Hey thanks Paul and Joel!!! This might sound strange, but I am glad to hear that Pro Triathletes are actually Human! You guys have always seemed larger than life to me, watching so many of you all these years, it's interesting to hear what goes on in your head, all the chatter, talking to yourself. It's what I do but for whatever reason, thought it may be different for a pro. Great report. Didn't know the bike was a loop, 3 times, that sounded like a nightmare! Never thought a triathlete could loose their voice from screaming, On your left! over and over again. Sounds like some of the trail rides I've done.